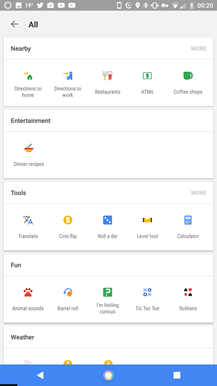 We've spotted some new icon-based interface changes in Google Now over the last few months, first with a few circles, then with more contextual multicolored icons. 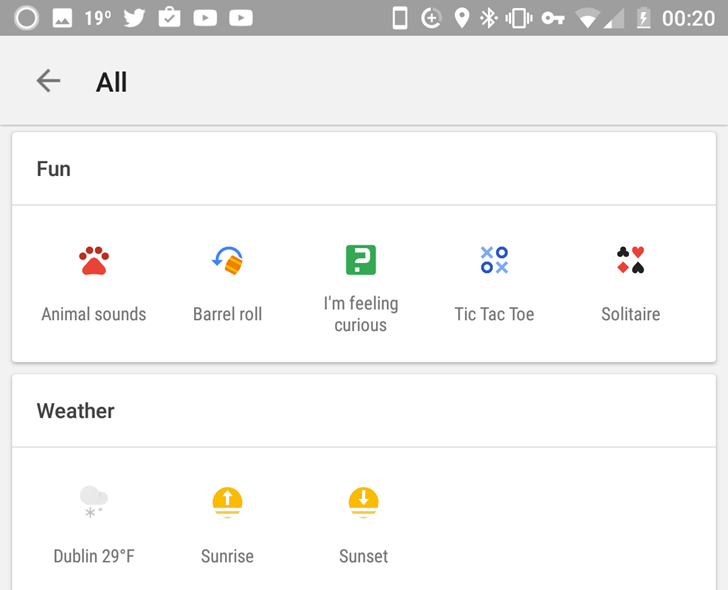 The latest shift seems to be all in on the latter: multiple Android Police users have told us that they've seen the new icon-focused UI in their copy of the app, complete with more icons than ever before. 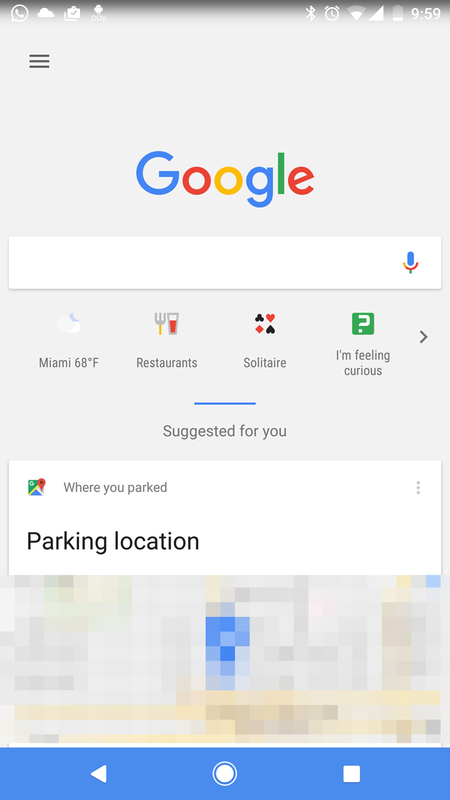 As an intentional way to direct users to Google's various utility searches, it seems to be fairly functional. 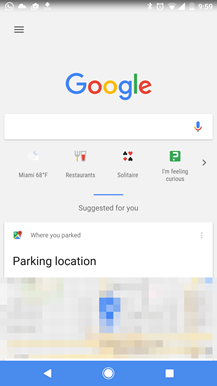 Tapping any of them brings the user into the usual dedicated sub-section of Google Search for that specific category, with associated cards. Tapping the arrow button on the right (formerly a dedicated "View All" grid icon) opens up more cards with more nested icons. It's sort of like a search interface Matryoska doll. 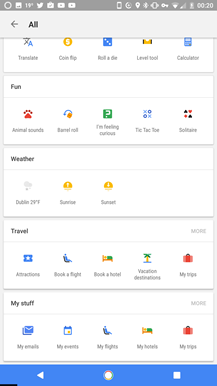 Each ending icon will open up a related search with the accompanying Google Now cards. 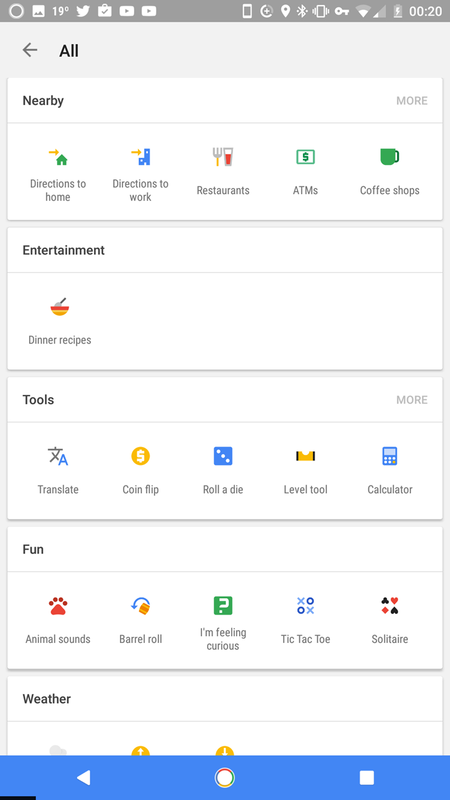 Oddly, though a much greater amount of Android Police readers are reporting the updated icon-focused UI, we're still not seeing it on all of our devices, so it looks like Google still isn't ready for a worldwide rollout of this particular change. Perhaps it's going out in stages or regions, or merely an unusually large server-side test. 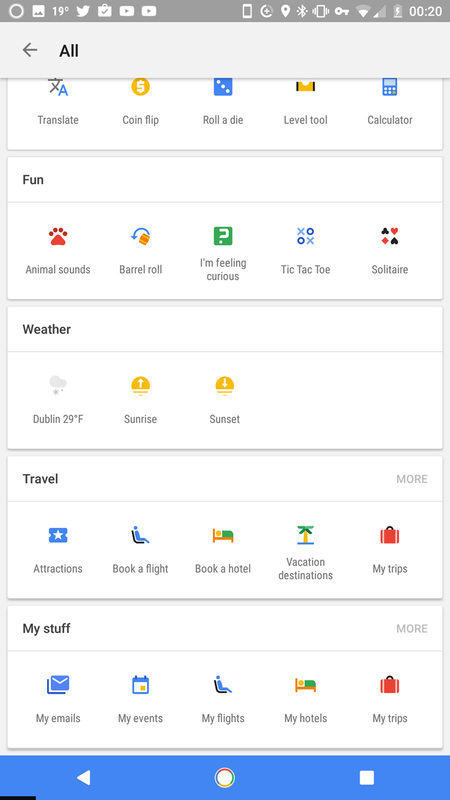 At the very least it'll give you a reason to pay attention to Google Now for a few days.